We are delighted to announce that our KNIT Together sessions will start again on Friday 15 March 2019 in St Annes Library, 10.00 am – 12.00 pm. The group will meet every two weeks. 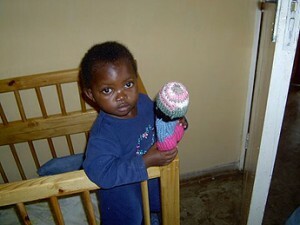 Both experienced and novice knitters are welcome. If you enjoy knitting and nattering why not come and join the Knit Together group; or maybe you need a bit of emotional support when it comes to decreasing, increasing or turning a heel! 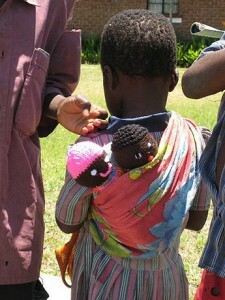 As well as doing their own knitting, members of the group also undertake various charitable projects. These have included knitting soft woollen toys, called ‘Izzy’ dolls, for children who are victims of war, HIV babies, orphans and those who suffer from plain want. Another project saw the group knitting miniature bobble hats for Age UK, who forwarded them to a juice company for their Christmas promotion. The company paid Age UK for their efforts. 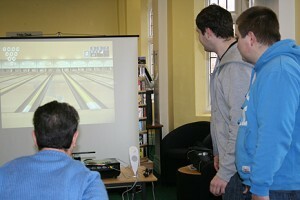 Our Wii sessions were suspended due to the library closure. We hope to get them up and running again very soon. If you’re looking for a fun way to keep fit and active then why not come and join our monthly ‘Together Wii Play’ sessions. Using a Nintendo Wii, the sessions offer various activities such as playing virtual tennis and bowling, as well as providing a programme of exercises. 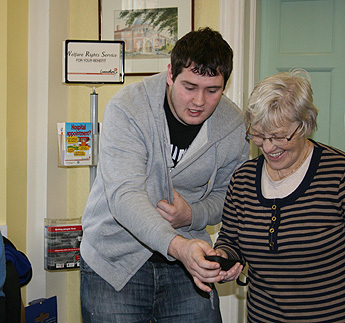 Don’t worry if you’ve never used a Wii before as students from Lytham St Annes High School are on hand to help all participants. As numbers are limited, booking through the library is essential – please phone 01253 643900. Keep fit and have fun as well!